Davis is a wonderful place to attend school because of its atmosphere and scenery. The city of Davis is the definition of a college town because many businesses and events are geared toward the students of UC Davis. In my experience, I find it easy to focus on my studies because of the quiet atmosphere. The city of Davis is filled with coffee shops and places that are filled with students working hard on their studies. 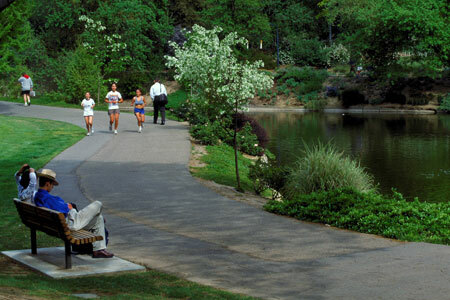 This environment allows UC Davis students to keep working hard. 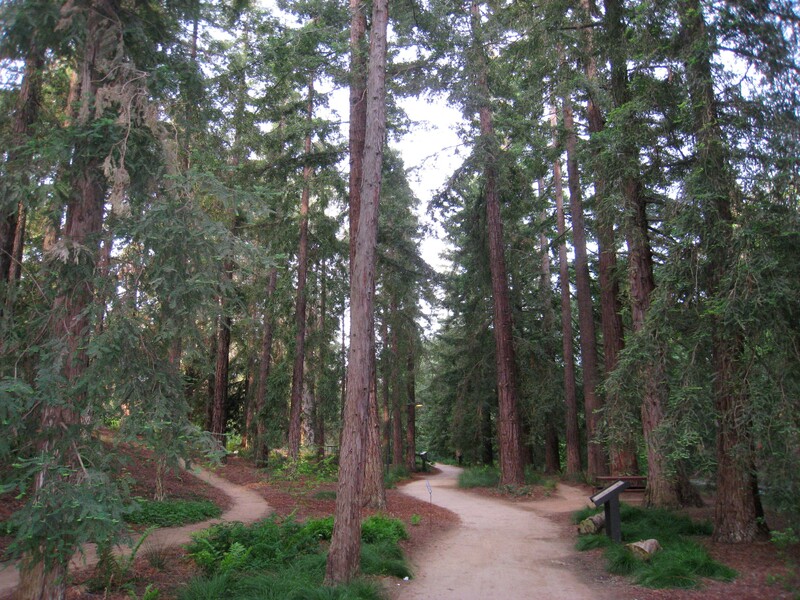 But when I am not hitting the books or need a refresher from my organic chemistry reactions, I head to some of my favorite spots in Davis to unwind. Davis Farmers Market: I try to attend the Farmers Market as much as I can. 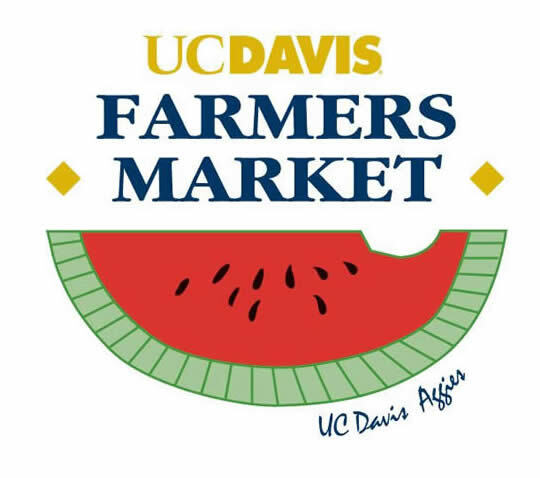 The farmers market is located at Central Park in Downtown Davis on Saturdays: 8am-1pm, year-round, rain or shine! There is also a special farmers market Fall and Spring quarter located at the Silo on Wednesdays 11am-1:30pm. Beginning March 18th, the community of Davis puts on an event called “Picnic in the Park.” This event is on Wednesdays from 4:30 to 6:30pm. Picnic in the Park has an array of musicians and bands that perform along the typical Farmers Market. I enjoy attending the Farmers Market because of its fun atmosphere and delicious treats. There are plenty of free samples of fresh fruits and vegetables, but my favorite thing to sample and buy is what I like to call juicy, crisp apples in bottle. This apple juice is so delicious and refreshing. I also like getting a pastry to enjoy with the apple juice. While I am munching on a cookie I like to talk with friends while I enjoy the wonderful music of the Farmers Market band. I really want to encourage everyone to attend at least once… I promise you will go back !! For more information please visit the Farmer’s market main page. Downtown Davis: Exploring Downtown Davis with a group of friends is always a great time. Downtown Davis is filled with delicious food and activities. Some of my favorite places to eat are Uncle Vito’s and El Burrito. I can eat Thai fries from Uncle Vito’s for breakfast, lunch, and dinner any day! After I have some delicious food from downtown, I usually head to the theaters located in Davis to relax and enjoy a new released movie. There are three theaters located in Davis; Regal Cinema Davis on F street, regal cinema Davis on G street, and the varsity theater on 2nd street. But if you are searching for a place to get some school work done my favorite place is Mishka’s Café. They have a great relaxing atmosphere and some amazing coffee! Downtown Davis also has array of gift shops and art galleries. An art gallery that I have visited multiple times is the John Natsoulas Art Gallery. The gallery is only open a few times a week, but when they are open they usually have a band and appetizers. These are only a few of my favorite spots, but Downtown Davis has many activities and restaurants to check out. Visit Downtown’s homepage to get maps, reviews, and a calendar of events. Site Seeing: There are a couple of sites I think you should check out! Stevenson Bridge is quite a site ! If you take Russell Blvd westward, you will reach County Road 95A. Make a left on County Road 95A and you will find this bizarre bridge filled with graffiti. Not only is the bridge a unique site but so is the ride down Russell. When I went to check out this bridge I biked with a friend which I highly recommend doing since the bike ride over there is half the fun! Those have been some of my favorite places to see, and I am sure there is more! So get to know the Davis community and all it has to offer.